Wow, I'm writing my final newsletter and it's already December! As a kid, we always had Wayne Newton's Holiday record playing during this time of year. Yes, a vinyl record playing on a turn-table with cords connected to just two speakers. Very high tech, I know. Not sure about you, but I can remember my parents always telling me time flies by especially as you get older. Now, I'm not saying any of us are old, but just that time really does fly by faster each year. I want to take a moment and reflect upon this past year as your Chapter Chair. I'd like to acknowledge and send out a huge thank you to our Executive Committee for the countless hours spent on strategizing on our chapter's future. Our Board of Directors have spent valuable time away from their paying jobs to work with all their committee volunteers to create meaningful experiences for our loyal members. As we look towards 2019, I encourage each and every one of you to get involved and stay involved! 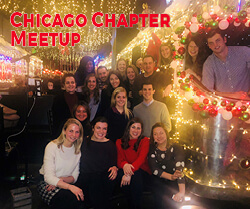 Our chapter is focused on you and with your input and volunteerism, we will continue to provide those moments to connect with industry professionals like yourself. I would also like to thank all of our members for supporting our chapter charity the Weisher Foundation. I had the privilege to attend the annual Weish4ever event on December 1 at Bourbon St. The silent auction, venue, food and entertainment was amazing! The Andrew Weishar Foundation donated $10,000 to two families, providing support and financial relief while the young adults compete with the challenges, and awfulness of cancer. The IAEE Midwestern Chapter's efforts truly contributed to the "Pay Forward" mission this foundation strives upon, helping so many families battling cancer. This coming week is EXPO!EXPO! 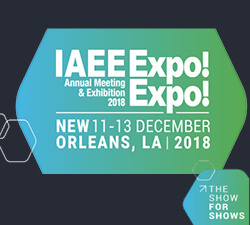 I am looking forward to connecting with everyone in New Orleans as well as our upcoming 2019 chapter events! It's time to officially welcome in the Holidays and a warm welcome to the new Chapter Chair, Jean Heis and all her board members! WELCOME! Happy Holidays and wish you all the success in the New Year! Cheers! 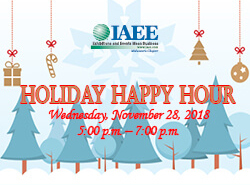 Thank you all for coming out to our Holiday Happy Hour event at Jakes Melnick's Corner Tap. It was fun connecting with each of you and what a success. We had a great turn out of over 60 members! See photos from this fun event here! We are proud to announce your 2019 Board of Directors. Visit our website to see who will be leading the Midwestern Chapter in 2019. Midwestern Chapter for a Reception! Tuesday, December 11, 2018 | 5:30 p.m. - 7:00 p.m. Your journey to Expo! Expo! 2018 is about to begin. 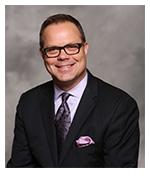 So, you're attending EXPO!EXPO!, please stop by to meet-up with fellow IAEE Midwestern Chapter members. Catch up with your colleagues and friends at this popular event. It's always a great time meeting up with other exhibitions and events industry professionals. This free event is a perfect opportunity to share ideas and make connections! The YP's had an outstanding turn out at last week's concurrent meetup. They celebrated and shared in holiday cheer, tradeshow life stories and overall best practices. Looking forward to seeing everyone at the EXPO!EXPO! YP meet up! Wednesday, December 12- 4:30pm - 5:00pm @ 55 Fahrenheit Wine Bar & Lounge (New Orleans Marriott). Who's ready to get their kick on? Bring a minimum 6-person team and try your best to strike out, fly out, tag out or force out your opponents. Not a Kick Ball player? Join us anyway and be a benchwarmer! Root for your favorite team as you enjoy plenty of food and drinks and of course, networking. 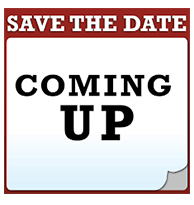 Mark your calendars to participate in 2019! 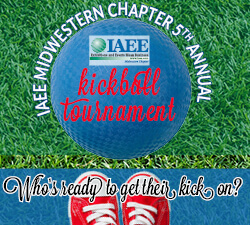 GET INVOLVED: Join an IAEE Midwestern Chapter Committee! Gain valuable leadership experience and build your professional network by serving on one of IAEE Midwestern Chapter's volunteer committees! We rely heavily on the passion and commitment of our committee volunteers to provide high quality events, programs, and opportunities for our members. Volunteers of all backgrounds and experience levels are welcome! Educate your mind. Sharpen your skills. Strengthen your connections. 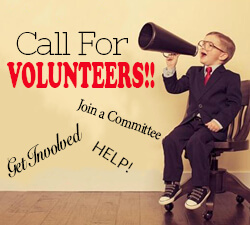 Take a look at our committee lineup and apply today! 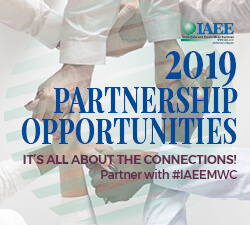 IAEE MWC is an excellent catalyst for this development, but ultimately, it's up to you to make it happen.Come be a part of the fun! Reaching real buyers has never been easier or more cost effective. Sarah's Circle is a non-profit organization with a mission of serving women who are homeless or in need of a safe space. Located in Chicago's Uptown Community, Sarah's Circle has provided support for thousands of women since 1979. At each of our upcoming events this year, we will be collecting unused travel sized toiletries.This is a very simple way for you to serve someone in need. Please keep this in mind as you travel. Instead of leaving these items behind in your hotel room, throw them in your bag and bring them along to your next IAEE Midwestern Chapter event. Remember hotels are always willing to give you a second set of toiletries if you request them. Sarah's Circle will be happy to take them! Tweet us at @IAEEMWC and follow us on Facebook and LinkedIn to keep up with the latest membership and industry news and trends!